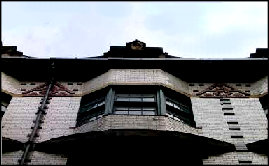 Charles Rennie Mackintosh was educated at the Glasgow School of Art where there is now a collection of his work. He was a master of space and light in his interiors and much of his furniture designs have now achieved ‘icon’ status. The Glasgow School of Art was one of the focus areas in Europe during the late 1890s with a reputation for strong architectural teaching and fine art expertise. His time at the college ran parallel to his role as an apprentice to a firm of architects owned by John Hutchison. 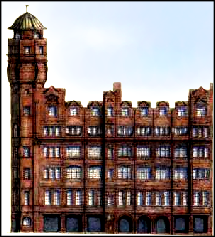 He later moved to a larger group; Honetman and Keppie and became involved in a variety of projects - including the Glasgow Herald building (1894) and Martyr’s Public School ( 1895 ). Mackintosh gave a lecture in 1893 suggesting that designers and architects profit from greater freedom being given in the interpretations of projects and showed significant maturity and originality in his own work in the areas of metalwork, furniture design, graphics as well as architectural details. and Roman styles was less suited to the feel and climate of Scotland and so focused more on traditional Scottish ‘Baronial style’. He also believed that each detail of a design should contribute to the whole project.